Get Ready For Road Trips! Spring is here, and nicer weather means more fun road trips! Be prepared for all of your road trips with genuine Mercedes-Benz roof rack accessories. Bike racks, carrier systems, and more! Present this coupon and receive 10% off select Mercedes-Benz roof rack accessories! *Coupon not valid with any other offer. Must present coupon at time of purchase. Limit one coupon per person. Coupon does not apply to prior purchases. Other Restrictions may apply. Void where prohibited. Present this coupon and receive 10% off an Illuminated Star! April is National Car Care Month! What better way to take care of your vehicle than with Mercedes-Benz Genuine Synthetic Oil? Available through our Parts Department! Treat Your Older Mercedes-Benz To Some New Parts! Present this coupon and receive 15% off parts for vehicles 2010 or older! *Coupon not valid with any other offer. Must present coupon at time of purchase. Limit one coupon per person. Coupon does not apply to prior purchases. Other Restrictions may apply. Void where prohibited. 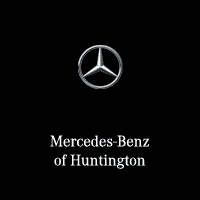 Coupon only applies to purchases from Mercedes-Benz of Huntington Parts Department. Present this coupon and receive 20%off a Cabin Air Filter! 15% off brakes and rotors when you purchase them together! Present this coupon and receive $10 off wiper blades! The Mercedes-Benz Parts Limited Warranty has been changed from 12 months/unlimited miles to 24 months/unlimited miles! *This new warranty is valid on all parts sold as of January 1, 2017. The warranty is not retroactive to parts sold prior to January 1, 2017. Purchase a set of four (4) qualifying General tires and receive up to $70 on a General Prepaid Visa® Card! *See your Service Advisor for Details. Coupon not valid with any other offer. Must present coupon at time of purchase. A wheel weight fee of $5.00 will be applied to all customer-pay repair orders. Limit one coupon per person. Coupon does not apply to prior purchases. Offer only valid on select qualifying General tires. Other Restrictions may apply. Void where prohibited. Receive Up To $70 On A Michelin® MasterCard® Reward Card! Purchase a set of four (4) qualifying Michelin® tires and receive up to $70 on a Michelin® MasterCard® Reward Card! *See your Service Advisor for Details. Coupon not valid with any other offer. Must present coupon at time of purchase. A wheel weight fee of $5.00 will be applied to all customer-pay repair orders. Limit one coupon per person. Coupon does not apply to prior purchases. Offer only valid on select qualifying Michelin tires. Other Restrictions may apply. Void where prohibited. Reclaim the road. Tread confidently. Save $150 on a set of four eligible tires or $75 on a set of two eligible tires! *See your Service Advisor for Details. Coupon not valid with any other offer. Must present coupon at time of purchase. A wheel weight fee of $5.00 will be applied to all customer-pay repair orders. Limit one coupon per person. Coupon does not apply to prior purchases. Offer only valid on select qualifying tires. Other Restrictions may apply. Void where prohibited. Receive Up To $100 On A Yokohama® Prepaid Visa® Card! Purchase a set of four (4) qualifying Yokohama® tires and receive up to $100 on a Yokohama® Prepaid Visa® Card! *See your Service Advisor for Details. Coupon not valid with any other offer. Must present coupon at time of purchase. A wheel weight fee of $5.00 will be applied to all customer-pay repair orders. Limit one coupon per person. Coupon does not apply to prior purchases. Offer only valid on select qualifying Yokohama tires. Other Restrictions may apply. Void where prohibited. Receive Up To $60 On A Hankook® Prepaid MasterCard® Card! Purchase a set of four (4) qualifying Hankook® tires and receive up to $60 on a Hankook® Prepaid MasterCard® Card! *See your Service Advisor for Details. Coupon not valid with any other offer. Must present coupon at time of purchase. A wheel weight fee of $5.00 will be applied to all customer-pay repair orders. Limit one coupon per person. Coupon does not apply to prior purchases. Offer only valid on select qualifying Hankook tires. Other Restrictions may apply. Void where prohibited. Receive Up to $100 Back on a Goodyear® Prepaid MasterCard® Card! Purchase a set of four (4) qualifying Goodyear® tires and receive up to $100 on a Goodyear® Prepaid MasterCard card!